Natural Teeth Whitening Co. launches in the UK – The Natural Teeth Whitening Co.
NATURAL TEETH WHITENING CO. Activated Charcoal Powder (£10.99) is a 100% natural and vegan product. It is said to remove stains and discolouration from the teeth’s surface for a brighter and whiter smile. 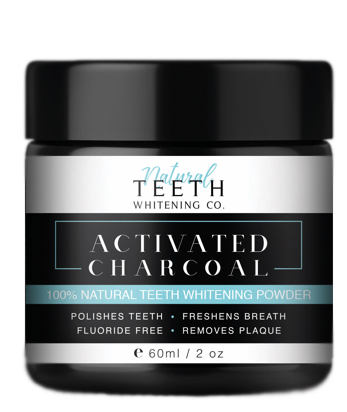 The powder is made from finely ground activated charcoal, which binds with the rough parts of the teeth – usually surface stains and plaque – to make it easier to remove stains.